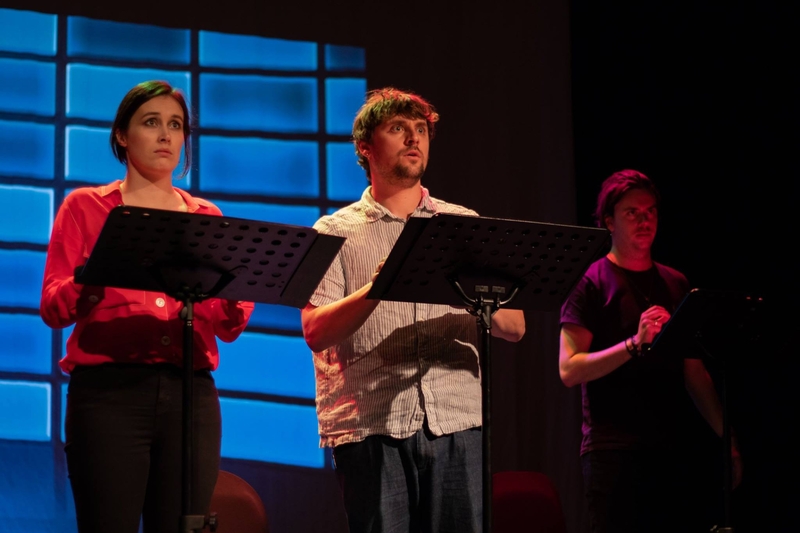 Sionnán Ní Nualláin was crowned the overall winning playwright at SCRIPTS Ireland’s Playwriting Festival in Birr, Co Offaly on Sunday, June 17. The playwright, hailing from Kildare, was one of the three writers specially selected to travel to Birr for a week of mentoring with Edenderry writer Eugene O’Brien. Her play, Caoimhe, Carl and the Great Tapir in the Sky, was selected by O'Brien and the other members of the prestigious judging panel, Fishamble’s Jim Culleton and New Work Associate at The Abbey Theatre, Jesse Weaver. The afternoon’s other finalists at Birr Theatre & Arts Centre were Brendan Farrell, also from Kildare, with The Parent Trap and Dubliner David Donovan’s Tamper Split. The cream of Irish acting talent also took to the stage on Sunday afternoon with professional actors Peter Campion, Clare Monnelly, Sarah Madigan and Ross Gaynor all delivering memorable performances. Sionnán will now be invited to The Abbey for a private consultation and scripts analysis. Not only that, but she will also secure a scholarship place on a Fishamble Playwriting Course. The weekend also included three workshops; Creating Character with Deirdre Kinahan, The Creation of a One Person Show with Rex Ryan and Beginning Your Play with Fishamble’s Jim Culleton. Performances across the weekend included Pilgrim by Scripts 2017 winner Philip Doherty and starring Rex Ryan, Mary and Me, based on the Ann Lovett story, children’s theatre Tom Thumb and the Little Prince and a site specific piece, The Barber of Moville, hosted at Tom’s Barbers. A Pop Up Play, by 2013 Scripts winner Siobhán Donnellan was also performed in The Loft Café and Kelly’s Bar. A radio play also featured on the Festival line-up this year. Two Girls in the Dream Castle was broadcast exclusively on Midlands 103. In this cross-cultural collaboration, this American play by Drew Katzman was recorded by a group of actors in L.A and looked at current day issued through the eyes of two young girls. Angela Ryan Whyte, Festival Co-Director said: "2018 is the year we'll remember for taking a giant leap forward having paused to examine and evaluate what we what we stand for. That moment for pause, provoked the selection of three excellent playwrights, just setting out on their careers." "We'll remember our joy at channelling their three distinct and unique voices and seeing how theatre can serve as a conduit to discuss the world we live in. Overall, it's been a resounding success and seeing the festival roll into full swing with an extraordinary collective of creatives, producing the most exciting work we've presented to date, has been a joy to behold."